Heading to an inpatient rehab facility for treatment can be an intimidating experience. Outside of what you’ve seen on television or in movies, you probably aren’t sure what to expect. What will you do there? Where will you sleep? Is it going to be difficult? In this article, we’ll try to answer your questions and ease your nerves. Here’s what to expect during your first week of rehab. Unless your treatment center has a medical detox center in-house, you’ll need to detox prior to arriving. All substances must be out of your system, which may take days or weeks. Medication and other therapies will help you through the discomfort or pain associated with withdrawal. Your first day of rehab is mostly devoted to intake. It should be a fairly easy day, allowing you to take in your surroundings, learn what’s expected of you, and get settled in. When you first arrive, you’ll meet with a counselor or admissions specialist. They’ll ask you questions about how you’re feeling, your drug history, and what you want to accomplish in rehab. You’ll need to discuss how you started using, any underlying issues that caused you to use, and any other physical or mental health issues you have. Your health may also be evaluated with a quick check of your blood pressure and temperature, and you’ll need to answer questions about any medication you’re currently taking. You’ll also be given a detox test to ensure that all substances are out of your system. All of this information will be used to develop an individualized treatment plan for your stay in rehab. Even if you feel uncomfortable, it’s vital to be honest during this conversation so you can receive the best possible care. Once you’re done answering questions, you’ll most likely be given a tour of the facility. During the tour, expect to be introduced to staff members and other patients. 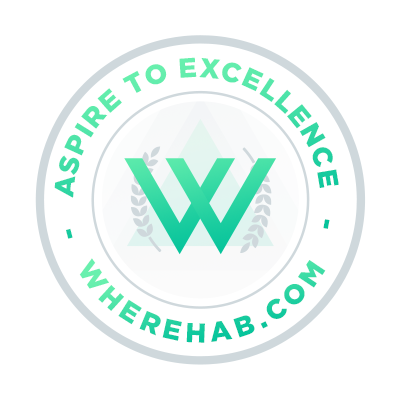 You may be surprised to find that rehab is a welcoming environment. Your fellow patients are in a similar situation, and many members of the staff are probably recovering addicts as well, so the atmosphere is one of support and solidarity. Once you’re taken to your room, your belongings will be searched. This is to ensure that you don’t have any drugs, alcohol, weapons, or other prohibited items. During Detox and PHP, communication devices like cell phones or computers will also be removed and locked in a safe. You will be able to use the phones at the house for about 10 minutes each night during detox and PHP. Once you have finished PHP your electronics will be returned to you. You’ll then be given a chance to relax and possibly eat a meal. If group meetings are in progress, you may be invited to join the proceedings. Speaking of your room, what should you expect your sleeping quarters to look like? To see what our houses look like click here. This will vary depending on the house, but most rooms are dormitory style and separated by gender. You should expect about 1 other person in your room. Nutrition is key to lasting recovery from addiction, therefore we emphasize a healthy and balanced diet. During the day you will receive 2 meals at the treatment facility with an abundance of snacks that is available throughout the day. At night, you will be able to prepare your own food at house, eating in a common area with other patients. The information you provide during intake will be used to develop your daily schedule, which you’ll likely begin the day after you check in. Your schedule will include some combination of individual therapy, group therapy, meals, free time, alternative therapy, fitness, and group discussions. In the evening, you may reflect on your therapy, complete personalized assignments, or work on “wrap-up activities” with your counselor. You should expect to get an early start to your day while in rehab, likely rising by 7 or 8 in the morning. Lights out will be fairly early as well, probably around 10 p.m. In order to help you focus on treatment, communication is restricted while you’re in a rehab. During the first week, you may not be allowed to communicate with your family as you settle into rehab and form bonds with the community. However, you’ll eventually be able to call your family using a phone at the facility, and e-mail may or may not be restricted. Your family will also be encouraged to take an active part in your recovery, so you can expect letters from your family members. There may be a day or days on which your family is encouraged to visit and participate in therapy or other activities. Your first week at a residential treatment center won’t be easy. It’s a new experience, and recovery is hard work. But focusing on your hopes for life after recovery, building relationships with the supportive community, and knowing what to expect will make the adjustment easier. If you have any further questions please call one of our specialists at 1-888-249-2590 or click here.